If you&apos;re concerned about synthetic chemicals in your haircare, then choosing organic and natural might be the way to go. Reducing the risk of irritation, allergic reactions, and harm to the environment, natural and organic haircare products are softer and gentler on the hair and scalp without skimping on effectiveness. Today, your choices of natural products aren&apos;t limited. At Adore Beauty, we have a great selection of shampoos, conditioners, and styling products, so you can still enjoy beautiful hair whilst keeping it well nourished and free of synthetic chemicals. Choosing organic and natural beauty products is a great way to cut out synthetic substances and lead a more environmentally friendly lifestyle. Rest assured that you don&apos;t have to reduce your freedom of choice when shopping. At Adore Beauty, we offer a vast range of organic and natural products, including haircare, so you can still enjoy nourished, healthy, alluring locks. Haircare products are notorious for being packed with chemicals. Many questions have been raised as to how good synthetic chemicals actually are for the health of your hair and scalp. Silicones are one of the main ingredients to watch; they&apos;re a quick fix that can actually dry out your hair. Choosing organic and natural haircare leaves you with healthier-looking hair and is better for you in the long run. If you suffer from a sensitive scalp, organic and natural haircare is probably the right prescription for you. Containing fewer, milder ingredients, natural products are much less likely to cause irritation. 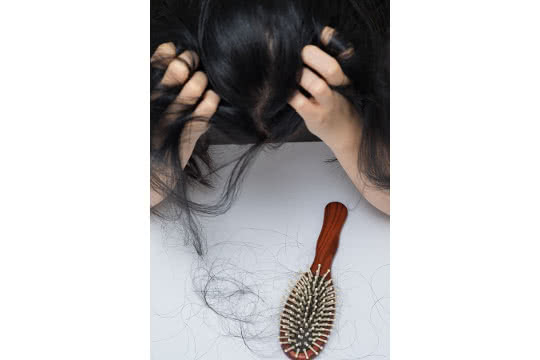 If you&apos;re dealing with hair loss, read out article on that topic to find out how organic and natural can help you. If you want to start using organic and natural haircare products, we&apos;ve got some great recommendations. Start off by choosing a shampoo. We&apos;ve got plenty to offer, and we present our top picks as well as a checklist of the ingredients to look for in an effective natural shampoo. You should always choose your conditioner based on your hair type and haircare concerns. This guideline doesn&apos;t change when using organic and natural products. Whether you have dry or oily hair, we have conditioner recommendations for you. Hair dye can be one of the most damaging and synthetic hair products of them all. Hair colours are particularly risky when it comes to allergies and irritation. Organic and natural hair dyes dramatically reduce the risk of a reaction whilst also giving you that gorgeous new colour you&apos;re after. We&apos;ve got a whole guide on organic hair dyes and what to look for. If you&apos;re concerned that an organic and natural product just won&apos;t be as good and effective, be sure to read our guides. You&apos;ll quickly be reassured that you can still get the same amazing results. Luscious locks are just around the corner! What&apos;s the Best Organic Conditioner for Dry Hair?